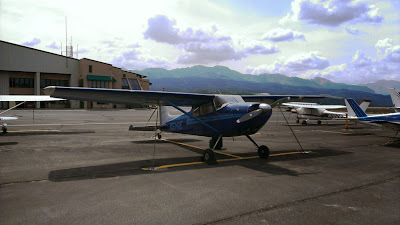 After a fun weekend of flying around the backcountry strips during a fly-in the previous week, it was time to meet-up with the family for the 4th of July holiday. 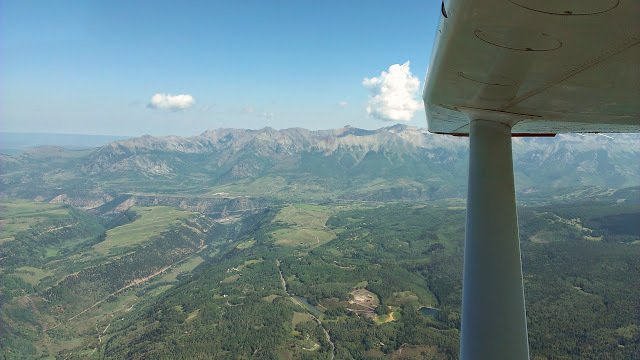 Being that Telluride takes 6 hours to drive to from Southeast Denver (due to the roundabout way across the rocks) I chose the 1.5hr hour flight in the Cessna 180. 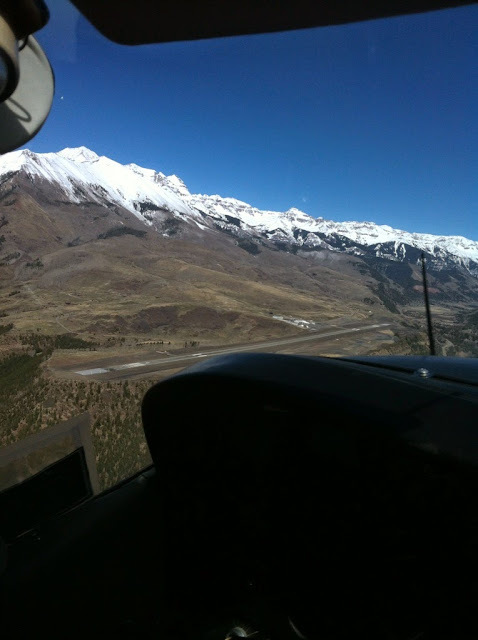 My landing field of choice was the not-so-backcountry Telluride airport. While the airport is paved it does sit on a small plateau at 9,000’ surrounded by 13-14,000+ ft mountain peaks which makes for a fun approach. The wind this day was favoring a landing on runway 27 which requires a tight left pattern to avoid flying over the nearby residential areas. Since both ends of the runway end abruptly at a cliff, up/downdrafts are possible. The airport recently installed engineered material arresting systems (EMAS) in order to meet safety requirements for commercial ops. Be sure to land past the EMAS or you might just have the shortest landing ever. Depending on your altitude and entry point, you don’t see the airport until 4-5 miles out. This can make it hard to receive AWOS or communicate over airport Unicom. On my trip I arrived from the NorthEast so I hung a left over the small town of Placerville/Sawpit and followed HWY 145 in on the right side of the valley. In calm winds and safety permitting, all landings are usually on Runway 09 and all takeoffs from Runway 27. Make sure to visit the airport website before going here to view the noise abatement procedures and preferred routes. 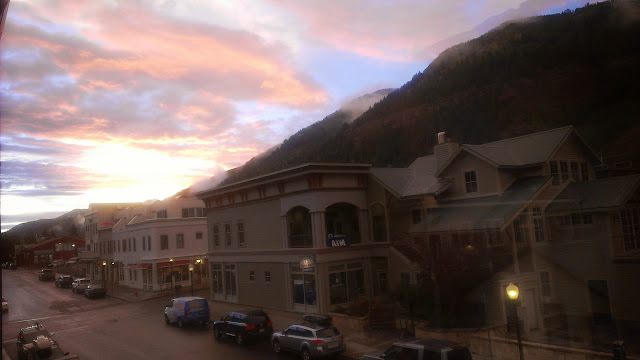 Telluride does have a small landing and overnight fee but the price was fair for service. I stayed 3 nites/4 days and the total fee came out to $35 w/ tax. Due to the limited parking, a follow- me car will guide you in to the ramp – weaving around business jets and black suburbans. Rental cars are available at a reasonable price along with two taxi/shuttle services based on the field. On this trip I was meeting up with family that was driving in from PHX, so I took a shuttle ($15) in to town for a celebratory beverage (for the good landing) before they arrived. 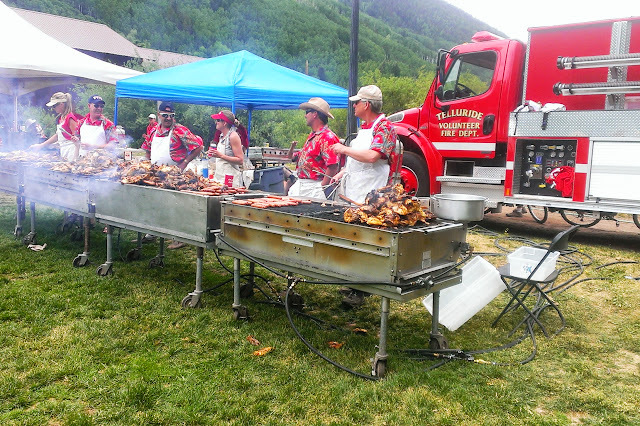 Telluride is nestled within southwest Colorado’s San Juan Mountains, and is known for its skiing, scenic landscapes, and summer festival season. 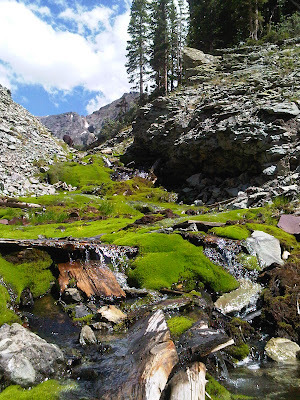 The former silver-mining town lies in a box canyon surrounded on all three sides by 14,000 peaks offering a perfect environment for hiking, mountain biking, fly fishing, and other outdoor pursuits. 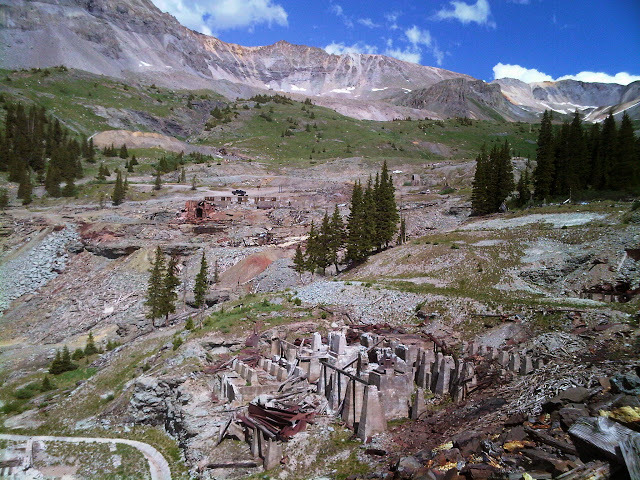 A century ago, Telluride was a rowdy, booming mining town of 5,000. Legend has it Telluride gets its name from a long-ago description of the difficult horseback journey required to reach the town: “to hell you ride.” A free gondola, the only transportation system of its kind in North America, connects the town of Telluride to the modern alpine resort town, Mountain Village. This trip was more about hanging out with family than exploring but we still had some fun side trips while we were there. Telluride caters to almost every adventure sport imaginable throughout it’s different seasons. On this stay we had some great hikes to some nearby canyon waterfalls and had a short 4x4 excursion using my brother’s stock 4wd 4Runner. By the way, some great casual eating spots in town are (in no particular order) Brown Dog Pizza, La Cochina de Luz (good Mex & Margs), Oak (fmr Fat Alley BBQ), Hongas downstairs bar (good happy hour sushi & drink specials) Last Dollar Saloon (aka: the Buck), New Sheridan Hotel Bar, Cornerhouse Bar & Grill, Tracks (in Mt Village). The list goes on, but these are some of my favorites. There are plenty of hotel, condo, and house rental options in town to suit your party and budget. 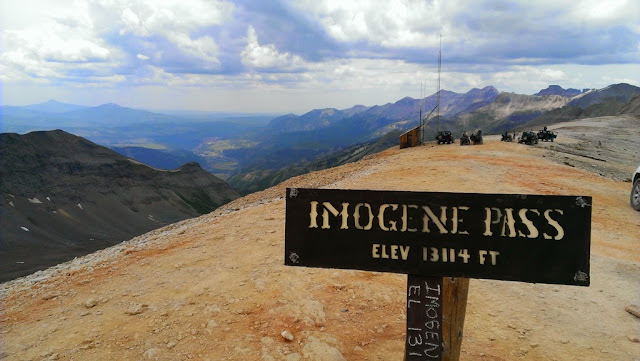 Hiking: For short hikes around the town of Telluride, here are some of my favorites. Every 4th of July the town has a parade, BBQ cookout and fireworks show. This year due to the high risk of forest fires they had to cancel the fireworks show but we still had a good time. 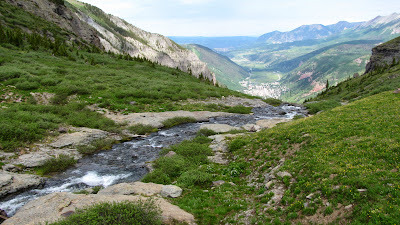 For the next part of the trip we all loaded up in the family 4runner and explored some of the backcountry 4x4 trails that connect the the old mining towsn around the area. This is a must see if you are in the area. Jeep rentals are available in town. 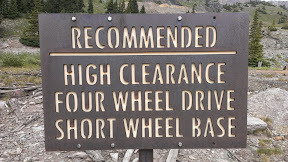 Once again time was limited, so we couldn't complete the whole Alpine loop, but here are a few pictures from the portion of road that goes from Telluride-Tomboy Mine- Imogene Pass - Camp Bird and ending in Ouray, Co. These are just a few of the pictures from our short trip and only show a small glimpse of the recreational activities available in the SW Colorado area. There is plenty of information available on the internet for that will do a better job than me of explaining all the different activities and places to explore. Visit the Fly Colorado write-up on the Telluride Airport for more details. We want to hear from you. Send us your trip reports by e-mail and we will post them to the website.